The Legacy Collection Vol II. There is no better healing than this. Pavan means the carrier of the prana, the life force. Whosoever recites this mantra becomes absolutely divine, God in action. Pavan is 'May the force be with you.' Encoded in each breath is the key to knowing 'Har', God and everything. 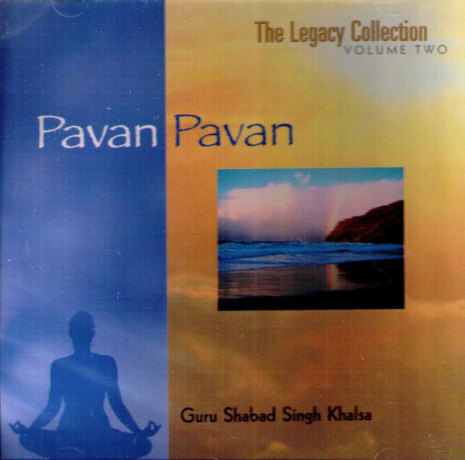 The second track on this newly released CD is Kaal Akal. This is a mantra to overcome the fear of death. The mantras meanings are 'Kaal' is death. 'Akal' is no death. 'Siri Kaal' is great death. 'Mahan Akal' is great no death. 'Akal Moorat' is deathlessness. It can protect and kill, there is no defense against it...this mantra wraps animosity, seals it. Can also remove the shadow of death.